Let’s explore my own fixation on comics, and it’s origins. 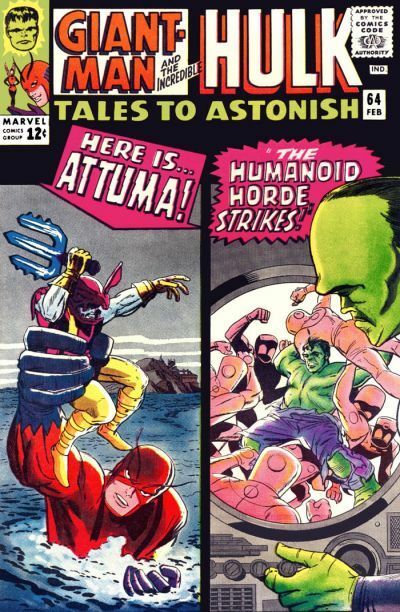 Like any kid growing up in the sixties, I read lots of comics. I’ve mentioned I was a fan of the TV western called Fury, so I remember snapping up a lot of western comics. 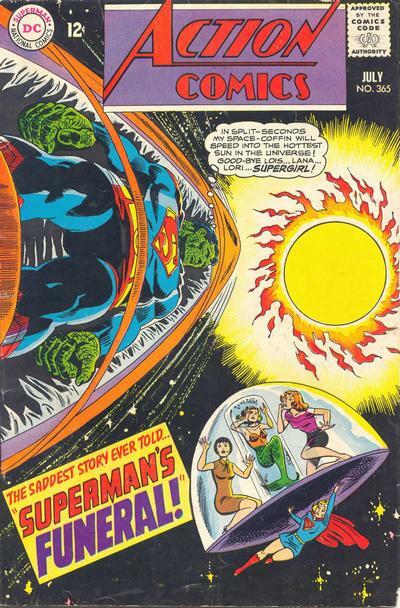 I also read lots of typical "kiddie" comics, like Archie, and Bugs Bunny, and several titles from Harvey Comics. Once again, I received my impetus from TV. They were running the Casper cartoons, so I read the comics of course, and by association I became interested in Hot Stuff, the Harvey title about the mischievous little devil. At age five or six, I wasn't really a collector yet, but I was very attached to my comics. As happened to many collectors when they were kids, mom cleaned up my room one day and chucked out all the comics I’d been stacking on one corner of my book shelf. My mom only did that once! I pulled the freak-out tantrum of all time. After that, I guess you could say I was a collector, though only in a casual way. I remember three comics from that first decade of my life that made a huge impact, and set the stage for my superhero obsession. When I was about six years old our family got to spend a weekend at the cottage of some friend of the family. 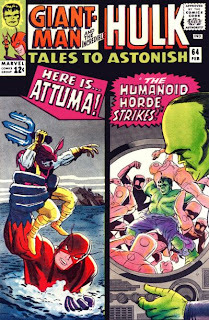 I discovered a stack of comics there, and amongst them was a fat, collected version of several Lee-Ditko Hulk stories from Tales to Astonish. Ol' Greenskin's first encounter with The Leader. I think there was a Kirby origin story thrown in there as well. The comic had no cover, so I've never been able to track down the actual item, but I remember seriously digging it. I really wanted to take it home, but my mom drew the line at stealing other kids comics. Around the same time I remember going nuts for Action Comics #365 with it's awesome Ross Andru cover of Superman being shot into the sun. 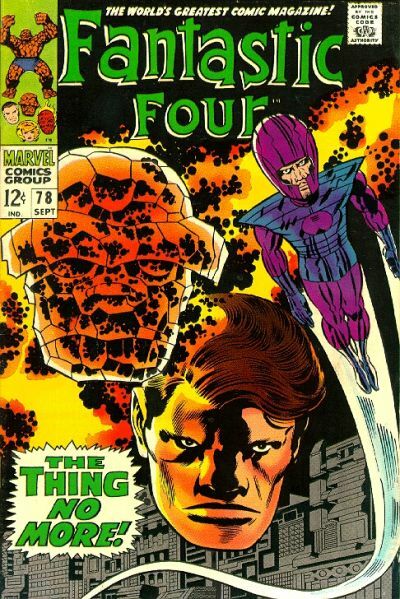 I also remember Issue #78 of the FF by Lee and Kirby. 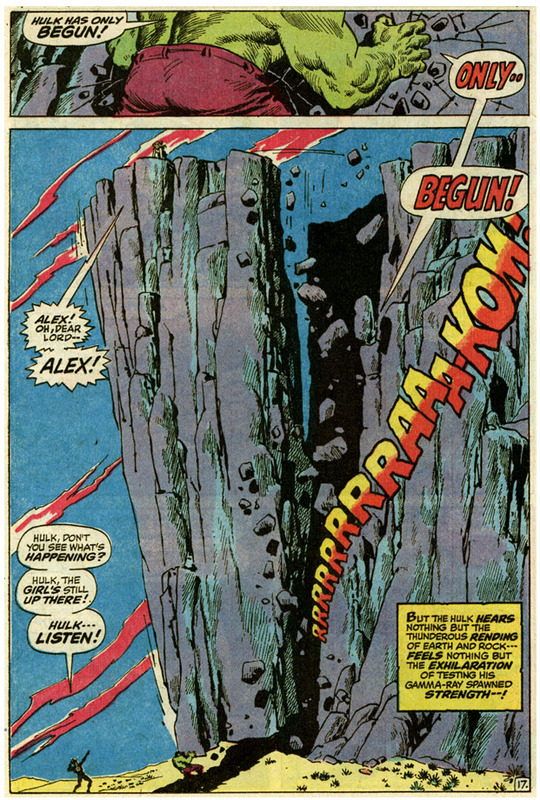 I spent hours staring at the splash page of the team leaping out of Sub-Atomica, and spent hours more utterly fascinated by the Thing's dramatic transformation back into Ben Grimm. But, the book that really did me in was Incredible Hulk #150. I was 12 by this time, and I was really ready to become completely obsessed with something. I thought it was going to be cars and motorcycles, but this single, fateful comic steered me in a much nerdier direction. One day, for some reason, my dad bought a short stack of comics. I have no idea why, but I found them sitting there, on his dresser, waiting to pounce on me. I don't recall what the other comics were, but that Hulk # 150 really grabbed me. 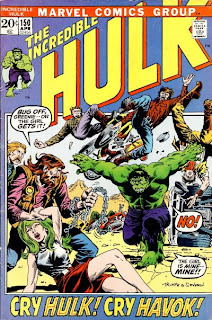 I think because it had a motorcycle gang in it, and I totally dug choppers, and because it resonated with that earlier Hulk experience. But, what ultimately tweaked my tiny little brain is this scene, Written by Archie Goodwin, and beautifully depicted by Trimpe and Severin of the Hulk ripping out the side of a mountain with a girl perched on top. What? He ripped out the side of a mountain? Holy Crap! I couldn't believe it. It's still one of my all-time favorite comics. That self-same day I sallied forth on my trusty 10 speed bike and searched out more Hulk comics at all the local convenience and drug stores. I quickly found issues #149 and #151. This was the first time I put together the whole idea of issue numbers, and continuity. I vowed right then and there to obtain every single issue of the Hulk. That was the moment I became a collector. That was the birth of my obsession.